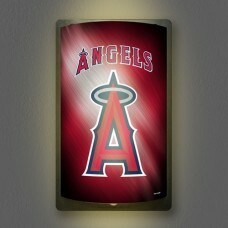 Put your fan fever on display with this MLB MotiGlow™ light up sign! • MOTION ACTIVATED ILLUMINATION- Detects motion up to 15 ft. away! • ATTRACTIVE DESIGN- Looks great on any wall whether it's on or off! • BATTERY OPERATED- Easy installation with no wiring required!